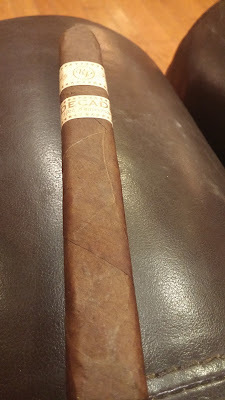 Background: As mentioned in one of our previous reviews for the Ocean Club Toro, we are taking an individual look each of 5 cigars that are included in a sampler with various other Rocky Patel smokes. While this specific stick may not be exclusive to Holt’s, the sampler is. Appearance (0-20): Let’s just be honest – what’s not to like about this stick. Minimal veins, a nice rich color to the Sumatra wrapper, and really understated bands adorn this stick. The band coloration is toward a cream, with gold embossing to put forth the branding of RP and Decade. It’s simple, elegant, and well executed. 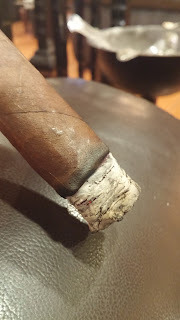 Construction (0-20): The nice oily wrapper on the outside is a good indication of where the smoke will go, and the foot being tightly coiled confirms more of the same. The initial cut was almost completely clean, though the prelit drawl was a bit tighter than I would have liked. Post light that drawl remained the same. However that tight drawl also had a direct correlation with the fact that it was able to hold an ash for 2 to 3 inches at a time. Strength (0-20): Medium to full. I wouldn’t even argue with the one as it spans across two full ranges of strength. The Decade definitely varies throughout, making it harder to peg. I have had some instances (since I have smoked a number of these) where it hangs more toward the medium realm, whereas others went more frequently into the full range. The score here is indicative of the fact that it is truly in the ballpark that it cites, but will not consistently be one or the other. Flavor (0-20): The Decade lit up easily and hit me with a blast of pepper on the first few puffs. That pepper drops rather quickly to just a footnote, leaving way for leather and woodsy notes. Minor notes of coffee and a light sweetness compliment the leather and wood. On the retrohale there is a distinct creamy flavor. 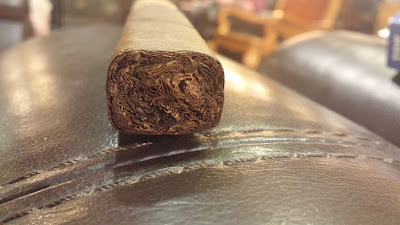 The leather flavor becomes much more prominent as the smoke goes on, along with a nice rich tobacco backbone. These major flavors continued into the final third and were melded with a nutty tone and slight peppery spice. Other flavors that show up are something on the bitter side, as well as a touch of cinnamon. Value (0-20): At a little over $11 for a single stick, this is one that had to perform well in other categories to justify the cost. And it does to a large extent. Additional Notes: Paired with water. Provided by Holt's Cigar Company. 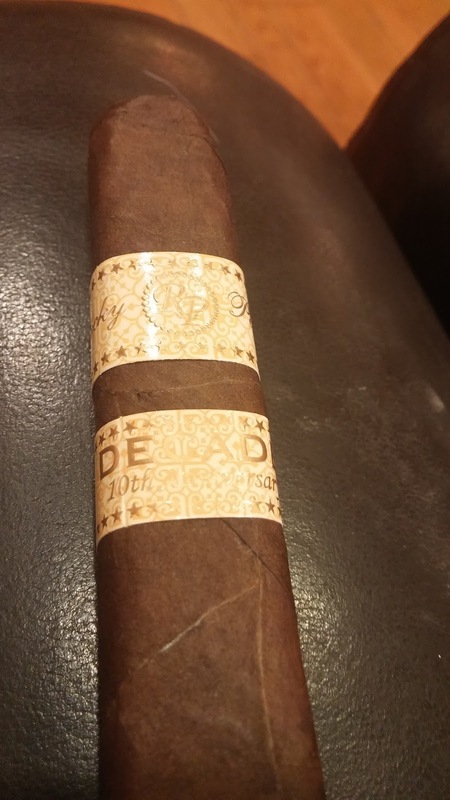 Overall (0-100): Really solid smoke from Rocky Patel on this one. It’s got all the elements that you are looking for in a cigar. It looks good enough to want to snag one from on the counter, is well constructed, and in a decent price range in terms of value. The strength, while variant not only from stick to stick but also within the stick itself, is right on point with what it should be to help fully balance the stick. Now on to the most important portion of the wrap-up – the flavor. Spoiler alert: it’s good. Like really good. There is almost a perfect balancing act that happens between the rich tobacco flavors, and inherent sweetness, and the bitter flavors. Couple with that the leather, pepper, wood, and other spices and it’s both complex and delicious… AND the transitions are clean and done well enough that they flow seamlessly. Bottom line – it’s a really nice smoke that only becomes better when you can snag it in a deal that drops its price heavily.